The most manly vehicle I’ve ever seen at 1/8th scale. 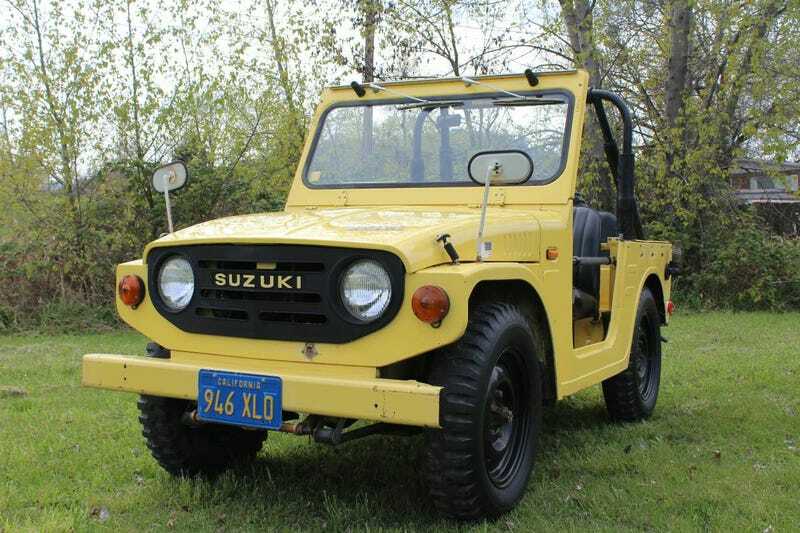 This 1972 Suzuki LJ10 is not only two stroke (which is very unusual) but it produces a MASSIVE amount of 25 HP! I imagine you need to really wind this thing up in order to go anywhere. Then again it has a curb weight of 1300 pounds and a top speed of 47 mph. You need to be careful with this amount of power. Just look at it! Giggity! I want this thing so bad. I don’t even feel that the $12,900 is a bad price. It appears original and unfortunately has CA license plates displayed for ‘display purposes’. I always love vehicles that have their original plates. Adds just that much more cool factor. If the mileage is true (based on documents I hope) it should sell quickly, I’d think.